A weekend of edge-of-your-seat action and pure entertainment, FIA World Rallycross will deliver serious indulgence for fans of speed and cars. 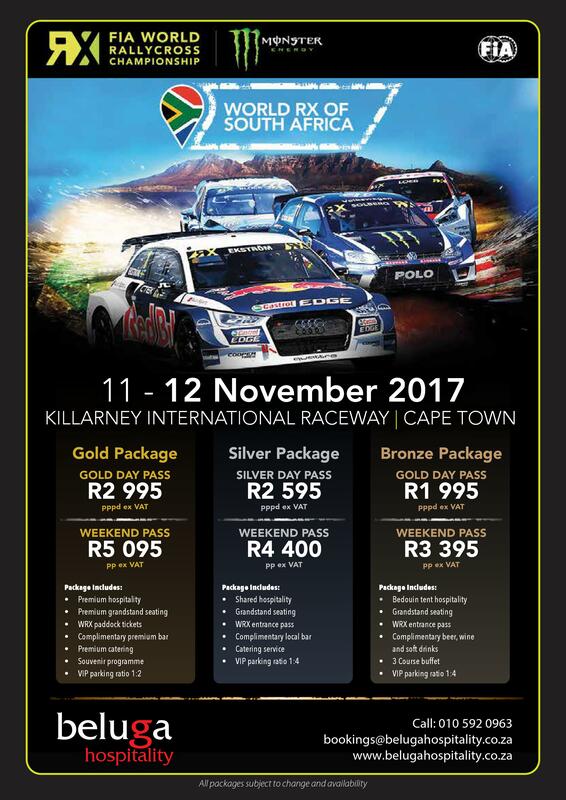 Killarney Raceway, Cape Town will host the final FIA World Rallycross event of the year, bringing international motorsport back to Cape Town. With stars like Sebastien Loeb, Petter Solberg, Matthias Ekstrom and Ken Block on track and entertainment throughout the weekend in the Fanzone, this is one event that you cannot miss!